I'm guessing you've heard by now that various analysts, experts and even investors are calling on Nintendo to make games for Facebook as well as for smartphones (Apple's iPhone, in particular). If not, you may want to read the article, "Mario Pressured to Jump to IPhone as Nintendo Wii, 3DS Slump," which caused quite a ruckus after it was published on bloomberg.com yesterday. Personally, I can't think of anything worse--for investors or gamers--than Nintendo abandoning its heretofore-properous hardware business in favor of producing cheap Facebook and iPad/iPhone games. For instance, I'm not sure how the company would make more money by selling, say, an iPhone version of Super Mario Bros. for $.99 or even $5 a copy than it could by selling a Wii U version of Super Mario Bros. for $50 a copy. I could see Nintendo having similar financial problems if it only took part of the above-mentioned investors' advice and made Facebook and/or iPhone games while also making 3DS and Wii U games. After all, surely a $.99 Super Mario Bros. game made for iPhone would negatively impact the sales of a similar Super Mario Bros. game made for Wii U, especially since the latter would sell for many times the price of the former? in his or her own Facebook or iPhone game? The only way I could see Nintendo benefitting from such a move would be if it produced and published only new IPs, or if it produced and published a mixture of new IPs and simplistic spin-offs of its existing IPs, for Facebook and/or smartphones. That's just my opinion, of course--and I didn't exactly graduate with a degree in business or economics. Anyway, what do all of you think about these cries for Nintendo to enter the Facebook and smartphone spaces? Should the company follow that advice, or ignore it? Good post! I don't know. I think these fund managers are looking at Apple, which briefly became the largest company in terms of market capitalization in America last week, and thinking Nintendo should do what they are doing. The ability of smart phones to play games is obviously a huge threat to Nintendo's traditional business strategy, at least with its handheld devices. I think a lot of people are attributing the abysmal sales of the 3DS to that factor. I agree with your point that Nintendo shouldn't release games for both at the same time as selling the same game on the iPhone would destroy the market for the games on the 3DS. 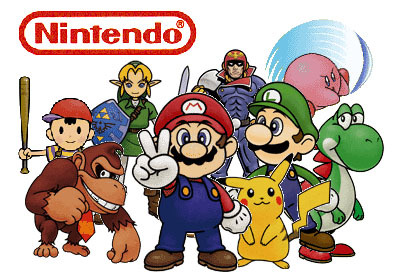 I think in the long term though Nintendo will have to completely re-do its approach to gaming to take into account the popularity of smart phones and the declining market for game-only handhelds. Hey there, Sean! I agree with you to a point (that Nintendo is going to have to re-think its approach to handheld gaming, especially, due to the popularity of smartphones). I say to a point because I think one thing a lot of analysts/experts/investors are ignoring is that the 3DS was, in most folks' minds, overpriced when it was launched at $249. Also, there simply aren't enough "must-have" games out there yet to prompt the masses to pick up the system. (This was a problem early on with the DS, too, you'll remember. The system didn't take off until Animal Crossing and Mario Kart were released a year into the DS' life.) Finally, I think 3DS *games* are overpriced at this point as well. Most DS games were $29 -- an acceptable enough price for a portable game -- while most 3DS games currently are $39, which is edging ever closer to the price people pay for console games. Personally, I think critics should wait to see how the 3DS does after the price cut has taken effect and after Nintendo itself releases a few must-have games (Mario Kart will be the first, IMO; Animal Crossing will be another) before saying Nintendo is screwed and should turn its focus from dedicated handhelds to smartphones and the like. Another thing few analysts/experts/investors seem to ignore is that most smartphone games are quite limited in terms of gameplay, story, etc. The former is especially true when you take into account that smartphones don't have control pads or buttons -- a fact that limits the playability of many/most mobile games. I'm not sure Nintendo's designers would be happy having to make games that have to use on-screen control pads and buttons (for lack of a better term), nor am I sure most of Nintendo's fans would be happy with such a reality. Can you imagine trying to play a traditional SMB game with on-screen pads and buttons you can't feel? In many ways, I see Nintendo entering the smartphone space as a last-ditch effort, as doing so would basically require them to leave the handheld space, and could impact their position in the console space, too. I really don't see them being in a last-ditch-effort position at this point, do you? Hell, they weren't in that position after the GameCube, and that was their second "flop" console in a row. You make some very good points, Bryan! I think I basically agree with what you have said, particularly that Nintendo isn't in a "last ditch effort" position now. You are right too about the 3DS being judged a bit too early, the price cut might change things around. I think the real challenge long-term will be to try to distinguish their handhelds from smart phones - ie give people a reason to buy them in addition to their phones. In the past game companies had it easy because all games (simple or complex) could only be played on consoles. Now that part of the market which is more "passive gamer" who is satisfied with the simple stuff on Smartphones will have no reason to get a console. I think 3D was a pretty smart move for Nintendo, even though it hasn't worked out as planned. It is one thing which really differentiates them (and, as you mentioned, the availability of a more in-depth gaming experience). I think the mistake was (again as you point out) that people just weren't willing to pay that much for the 3D handheld experience. They also had some extremely bad luck in terms of timing with the tsunami hitting Japan just after the 3DS was released (or before I can't remember). The investors in question here though are only thinking about maximizing Nintendo's profitability. They probably see a huge market in "casual gamers who use smart phones" versus a smaller market of "actual gamers" who want the full console experience, and want Nintendo to foresake the latter for the former. I'm with you in hoping Nintendo finds a way to make their business succeed in the long run without doing that! Hello again, Sean! You make some very good points, too -- esp. that the investors in question are only thinking about maximizing Nintendo's profitability. I still question whether the company's profits actually would be maximized by such a move given the current climate/environment for mobile games, but the point stands. BTW, another thing that I think is worth mentioning here is that Nintendo is likely going to have to "give up on" some of those folks who are fine with playing simple, cheap games on their iPhones and nothing else -- unless they begin to offer up their own simple, cheap iPhone games. Some of those folks could be swayed to pick up a 3DS, I would guess, if the right game(s) came along (kind of like how Brain Training convinced my mom to pick up one), but some of them are always going to think, "Eh, I've got my iPhone. Why do I need that?" If Nintendo is desperate to add those people to its customer base, they're going to have to release games on those platforms (i.e., smartphones) or give them up altogether. Again, it'll be interesting to see how the brass at Nintendo react to this situation. Personally, I'm starting to see that one of the options I mentioned in the post proper could be the best one for Nintendo: Producing new IPs and/or simple spin-offs of existing IPs for smartphones. I'm thinking stuff like the Animal Crossing clock released for DSiWare here, mainly, although they also could release a simplistic Mario game, etc. As long as these titles aren't too advanced and won't compete their their fuller 3DS/Wii U offerings, I think they could work out well for the company. I still think Nintendo's investors are a bit bonkers in calling for the company to bow out of the hardware side of the business, though. If anything, they should do what they can to do both -- continue to make hardware and full-fledged software for that hardware while also making simplistic software for smarphones, etc. I think it just basically boils down to Nintendo not wanting to "cheapen" its brand by having Mario available on multiple different platforms such as smartphones. If you want to play a Mario game, you have to purchase a Nintendo console or handheld, simple as that. In that sense, it gives consumers a reason to plunk down the cash for a them, and Nintendo's brand stays strong and unique. I think Nintendo (and all video game developers, really) should definitely take some notes from the success of iOS gaming, but mostly in the price department. As you said, Bryan, 3DS games just seem too expensive. Even the Virtual Console offerings are a bit steep for what are essentially roms of classic Gameboy games. The 3DS is already much more successful than the original DS was this far into the console's life, and I'm certain the drop in price and the holiday season will see it begin to hit its stride, especially with a more solid game library available. It's actually kind of disturbing to me that these sales numbers aren't "enough", considering there isn't a must-must-must-have game out for it yet. I've played a few games on my Android phone and iPad, and apart from ports of existing console games, none of them had the depth of gameplay or ease of control compared to a DS or PSP. I definitely believe extremely casual players who might've owned a DS or Wii might be drawn away by such games, but they were never a part of Nintendo's dedicated consumer base to begin with. So, yeah, Nintendo's investors are just seeing iOS gaming's success as a threat, but they aren't seeing the big picture. They don't "get" gaming, they just see numbers. I especially like what you say about Nintendo not cheapening its brand -- something that, IMO, likely would happen if they put Mario on Facebook and every smartphone known to man. That said, Nintendo (and other gaming companies) do have to learn a few lessons from what's going on with mobile gaming if they want to survive or if they want to keep from becoming an even nichier (sorry, made up word) market than they are now. I really think that portable games should rarely, if ever, cost more than $34. Really, for me, $29 is about the ceiling. If that means games need to be less grand in scale, so be it. Anyway, it'll be interesting to see if Nintendo learns this particular lesson. For the 3DS to reach the heights that DS ended up reaching, I really think both the system *and* the games have hit a sweet spot of sorts, and IMO $39 for a game is not it. Even if they don't learn that lesson, though, I think Nintendo and the 3DS will do at least "fine" when enough must-have games are available for purchase -- esp. now that the system is so darn affordable. I was fuming while reading that article, and I'm glad you say you're against such moves. I can't imagine Nintendo making Facebook games...ugh. I'd urn over in my grave if it weren't filled with some veteran. But seriously...I think that the 3DS sales have shown a weak spot for Nintendo for once in a long time, and people are nothing if not gleeful when a giant stumbles. Hyenas...all of them. Yeah, Nintendo-made Facebook games would be horrible, Justin. The odd iOS game would be OK by me, as long as they don't dilute the brand -- and they help the company weather this particular storm. As for people loving giant stumbles -- you're very right. Plus, a certain segment of the gaming community and press have been waiting for Nintendo to fail for ages. So, this is their time to gloat, I guess. Of course, the flip side of this is that people love comeback stories, too. So, even if 3DS ends up failing (which I don't foresee happening, personally), the press will love writing all of those "Nintendo's making a comeback!" stories for its follow-up. That is also true. Bah. I'm loyal to the end, price cuts and crappy game libraries be damned! Ha ha! Good for you, Justin! So am I, to tell you the truth. I don't have a 3DS yet, of course, but I will, and hopefully sooner rather than later. Hell, I'd get one just so I can play Mario 3DS and Luigi's Mansion 2. Oh, and Animal Crossing. I'm definitely part of the problem when it comes to that game (i.e., I buy every iteration even though Nintendo refuses to innovate the series in any meaningful way), but I can't help myself! MAYOR?! I haven't even HEARD about that!!! Yeah, as far as I can tell, players will be the mayor this time around. I'm not sure how that is supposed to affect gameplay, though. I guess (or hope) we'll see soon enough!